Three things you can expect in April: the Easter Bunny, rain and a heap of green advertising. 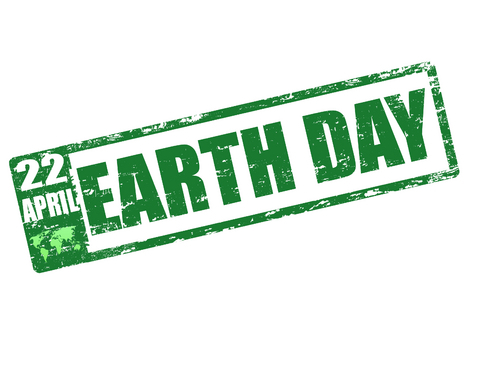 The 2011 Earth Day celebration will take place on April 22nd and will bring out the best in organizations promoting their most creative green strides. It is also a time when PR professionals are expected to promote and communicate green initiatives, even if they have no environmental familiarity. In order to communicate effectively, professionals must reconcile environmental jargon, complex issues, such as global warming, and their organization’s relationship with environmental regulations. Inability to consider these concepts can hinder the communication of the message and make a company susceptible to greenwashing criticism. The capitalist temptation to generate profit from Earth Day marketing can also pose the threat of greenwashing backlash. The slew of green marketing begs the question – are organizations simply doing good or capitalizing on it? I can think of various holidays that allow companies to make a buck, but eco-minded consumers and the planet should not be exploited. The best campaigns raise awareness rather than capitalize on the opportunity by offering environmental incentives with a purchase. However, there are some organizations that have learned to perfect this balance. Starbucks – When you bring a travel cup into your local Starbucks on April 22nd, you will receive free coffee or tea. This promotion encourages less paper and plastic consumption, while complimenting Starbuck’s continuous environmental responsibility. Target – You could win the ‘Refresh Your Nest’ sweepstakes and receive a $50,000 sustainable home makeover. Also, the stores are highlighting green products during the entire month of April. IKEA – The IKEA store in Tempe, Arizona is offering free breakfast and a T-shirt to anyone who bikes to work or school on April 22nd. In addition, by bringing your used plastic bags into the store you will receive a free reusable shopping bag. 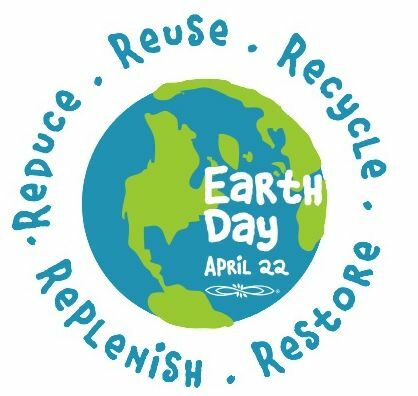 While commitment to sustainability goes beyond being green for one day, Earth Day offers a global opportunity to stop and think about how your organization affects the environment, and the steps that you can take to become more environmentally responsible. I really like the concept of your blog, I think it’s very interesting that you found a way to tie something you’re very passionate about in with your graduate studies in PR. In this entry in particular I like how you pointed out, “The slew of green marketing begs the question – are organizations simply doing good or capitalizing on it?” I never really thought much about that so it definitely raised questions in my mind. I also enjoyed the “Earth Day Nice List” it was very creative and you probably inspired several people to go get Starbucks on Earth Day! Your blog is very interesting and I enjoy the concept, keep up the good work! Thank you, Carmen! It is easy to not second-guess marketing and advertising claims when you hear them. I don’t think there is any need to be cynical, but consumers deserve to make well-informed decisions and support companies with the most sincere intentions. Reading this post made me look back and think about the first time I found out about Earth Day. I remember I saw it on a t-shirt which stated that the company’s proceeds from the t-shirts would go towards green causes and thinking that this was a very thoughtful and well-natured idea. Though at the time I believed so, now I am more aware and in a way, disagree. I strongly believe that companies which have Earth day promotions are more about the “green cause” of making money rather than the “green cause” of being environmentally friendly. With tactics similar to the Earth day t-shirt in which they try to promote Earth day, but also make a profit, it is clear to me that one should not believe a company’s green credibility solely off Earth day strides. On the other hand, these same Earth day campaigns can also serve as an outlet to consumers in spotting the companies that truly are “green”. For example, I remember walking into a Starbucks a few years ago around the time of Earth Day. They had an offer which was similar to the one mentioned in the list in the blog and I recall that moment as being the time when I began to realize Starbucks’ true nature of being green. To me, they are a credible company when it comes to Earth day promotions or sustainability; I know for a fact that I can and have walked in at any time of the year and have seen something “green” or at the very least some recycling symbols. Andres, thank you so much for reading. You have a great point that supporting companies with “sincere” Earth Day campaigns can drive other companies to change. I agree that Starbucks often strives to be an environmentally responsible company. They offer incentives year-round to reduce paper consumption and promote environmental awareness.